We all teach some subjects we don't care much for, don't we? Math happens to be my least favorite subject to teach. But, like it or not, math is an essential subject and our children really do need to understand it. As homeschoolers, we have the opportunity to improve on the old-school methods of endless worksheets. 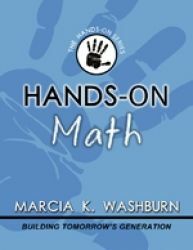 Hands-On Math offers an assortment of games & activities to supplement your curriculum with concrete, sensory experiences that will help your children lock in basic mathematical concepts.